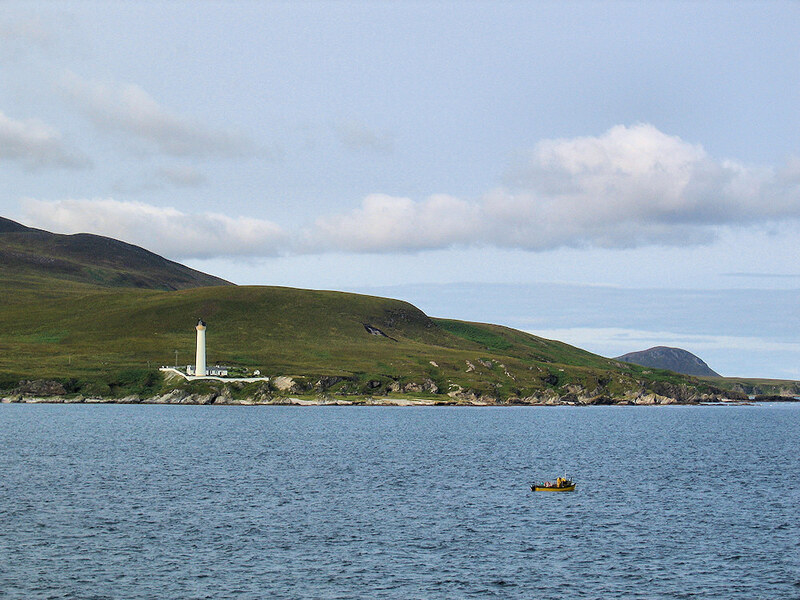 A view of Rhuvaal lighthouse from the ferry to Colonsay. A small fishing boat working at the northern end of the Sound of Islay. Mala Bholsa visible in the distance. This entry was posted in Cloudy Weather, Colonsay Excursion, Landscape, Lighthouses, Repost and tagged ferry, Fishing Boat, Islay, Mala Bholsa, Rhuvaal, Sound of Islay by Armin Grewe. Bookmark the permalink.